You may have noticed we have been focused on ranch roping and cowboy work here of late. Well, it’s because the old guys have a wealth of information that is quickly slipping away and part of what we do is educate. You don’t learn how to work livestock or train horses watching T.V. or reading books anymore than you learn how to do brain surgery. The only way to really learn is to do it. That said, it doesn’t mean observing a professional or getting some instruction isn’t really helpful. Bet that brain surgeon didn’t put his medical book down and go to “cuttin’.” Sure hope not anyway. A real cowboy is usually quiet, hard-working, pretty much does his job, and keeps to himself. Handy in almost every way in ranch work, most aren’t authors or writers. They pass on what they know by mouth or sometimes demonstrating. If a young person comes along with a good attitude and a willingness to learn, they will spend untold hours teaching for no more pay than a big smile and a “thanks”. We respect the cowboy because he figured out how to do things the right way, often the same as the “easy way.” Not because he was lazy, but because he was smart. No reason to get someone hurt or risk losing a good horse or a cow if it could be avoided. No doubt, there were wrecks waiting to happen. Working around big animals was a challenge and had certain inherent risks that still exist today. The cowboy learned to limit the risk to man and beast while achieving the goal. We aren’t opposed to rodeos and the competition of these events, but they aren’t true to the way a cowboy really did his job. Sure there were cows that had to be chased down and roped in the brush, but not until it absolutely had to be done. The first step was to try to ease up to the cow or calf and toss the rope over it. No reason to run off weight or make the job harder than it needed to be. 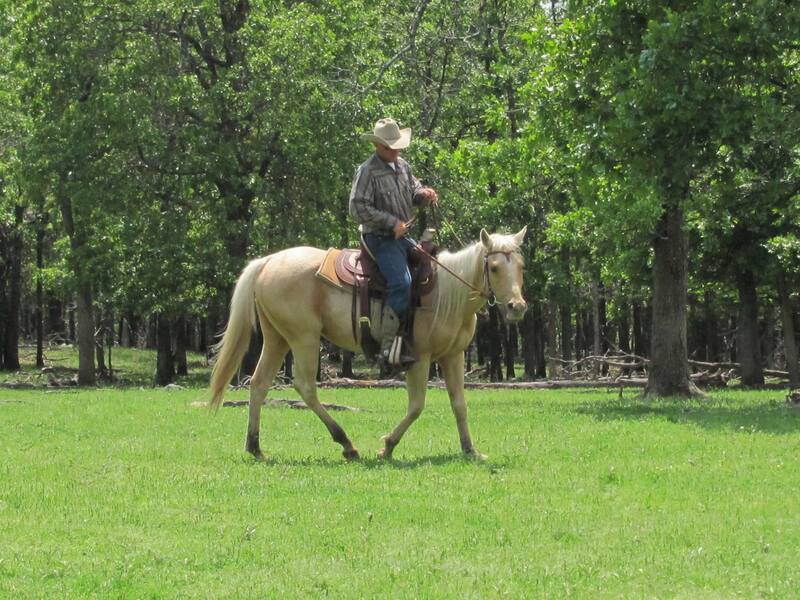 Years ago I used to help a rancher with branding and working his calves. With several hundred calves to vaccinate, brand, and castrate, it usually took four or five of us the better part of a day. When the calf was caught, one of us would “throw ’em.” If you haven’t ever seen it done, you stand next to the side of the calf and lift them up in the air while flipping them on their side while suspended in the air. When the calf lands, he is laying on his side on the ground. If done correctly, the calf lands on his side without any significant impact. You sort of control him so he lands softly and isn’t hurt. I can still recall the old rancher yelling, “Don’t throw ’em up high! You’ll kill ’em’ if you do!” You see as the day wore on, we started getting tired. When you grabbed the calf to throw it down, you could over compensate and end up with the calf higher off the ground than you really intended. When the calf hit the ground, it could injure it to the point it would die later. The old rancher, a cowboy, was pretty aggressive about making sure you sure we did it right and the calf didn’t get hurt. The first time you messed up was a lot of words we won’t repeat here. You didn’t get a second time without someone being asked to leave. He had waited all year to get those calves to the age they were and wasn’t about to lose a bunch of them by rough handling. And that’s what we like about the old cowboy ways; do what you have to do, nothing more and nothing less. Work the animal as easy as you can without anyone getting hurt. Not many cowboys left today and the ones left are sometimes misunderstood by the media and the television industry who accuse them of animal abuse. Nothing could be further from the truth. We tip our hats to those men and applaud their skills and ability in handling horses and cows. They do it the right way! Many of us grew up wishing we could be cowboys. Most of us never made it. The cowboy way of life is a hard one, full of challenges and obstacles. You gotta be tough to be a cowboy. While we completely and fully respect cowboys and adopt many of their ways and methods with livestock and horses, we don’t claim to be cowboys. As you read our blog, always keep in mind we don’t claim to be real cowboys. We don’t deserve to be cowboys and don’t pretend to take credit where it is not due. My grandfather was a cowboy. He served in World War I and took a bullet in the leg near the knee. The army doctor told him it would have to be amputed when gangrene developed. As they were about to put him under to remove the leg, he grabbed the doctor by the shirt collar and let him know he’d kill him if he woke up without that leg. When he arrived back in the U.S., the leg never bent again, but he still had it. Back to work as a cowboy, he couldn’t ride so he drove the chuckwagon. Real cowboys are tough inside and out. We respect and honor the American cowboy! You are currently browsing the archives for the Cowboys category.